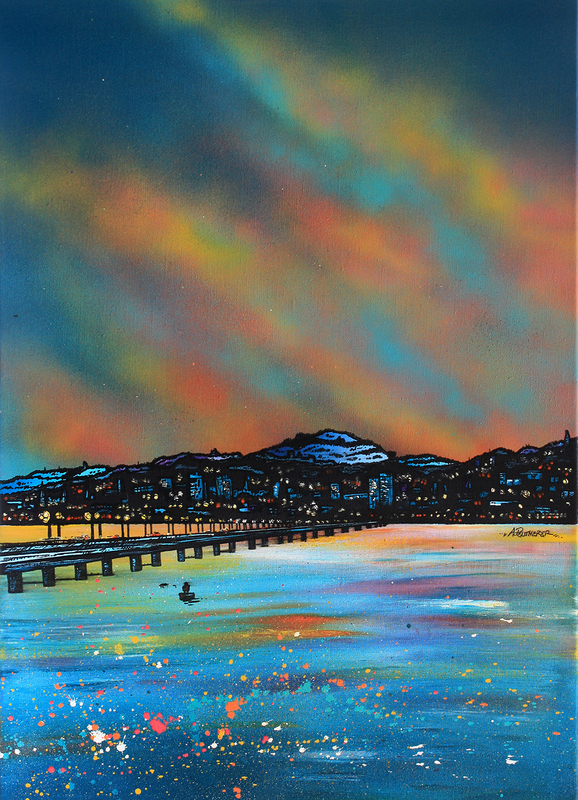 Dundee painting & prints - The Tay Bridge & Dundee, Scotland. An original painting and prints. An original abstract, atmospheric landscape painting of Dundee and the Tay Bridge dusk, Scotland. Original painting was a commission for a client but prints are also available. A commissioned painting of Dundee & The Tay Bridge, Scotland. Original Painting and prints by Scottish contemporary landscape artist A Peutherer.